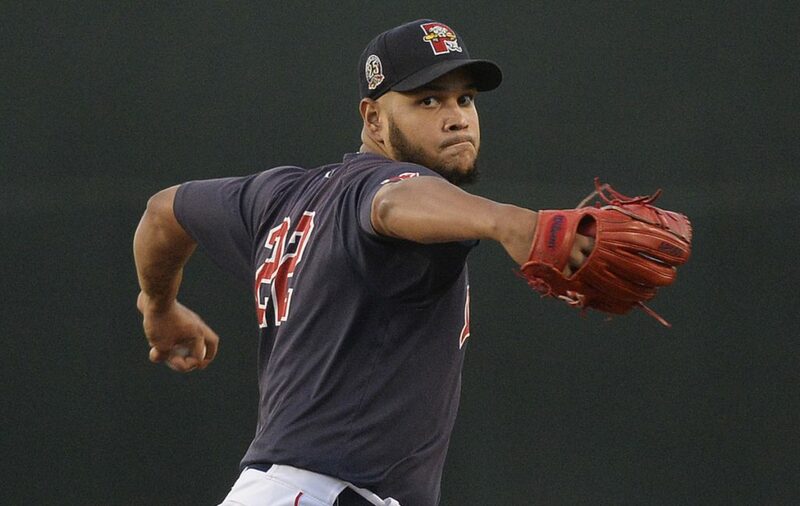 Eduardo Rodriguez allows one hit in four innings as Portland beats Toronto's rehabbing pitcher, Aaron Sanchez. Maybe they will match up again next month at Fenway Park. 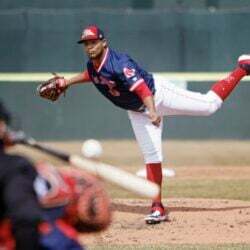 Rodriguez got the better of him, throwing four scoreless, one-hit innings as the Portland Sea Dogs beat Toronto’s Double-A affiliate, the New Hampshire Fisher Cats, 4-3 before a crowd of 5,509. 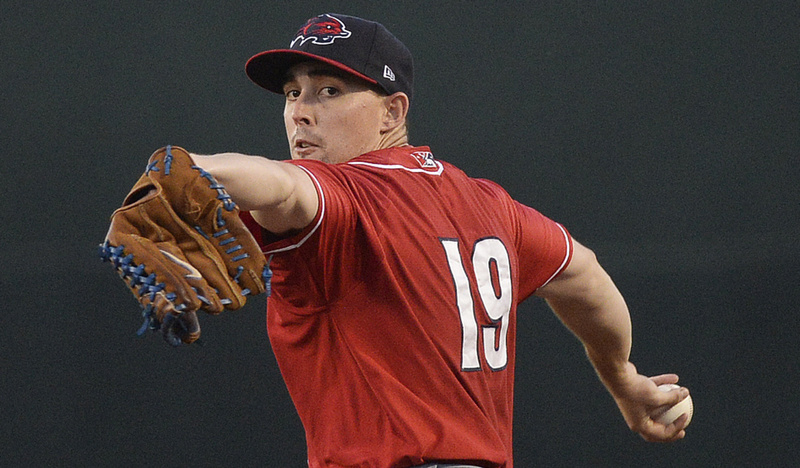 Aaron Sanchez, whose last two seasons have been full of injuries, pitched into the fifth and allowed four runs. 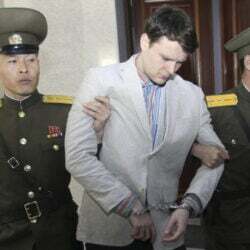 He’s hoping to make it back to Toronto’s active roster. 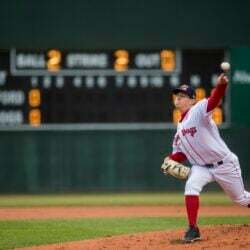 Sanchez, 26, allowed four runs (three earned) over 41/3 innings. Sea Dogs leadoff hitter Jeremy Rivera troubled him with a single, walk and two-run double. Sanchez is enduring another injury-plagued season. He went on the disabled list after his June 21 start because of a bruised right index finger. He’s made 15 starts (3-5, 4.52 ERA). Last year Sanchez hit the disabled list four times with blisters and made only eight starts – that following his 15-2 season in 2016. 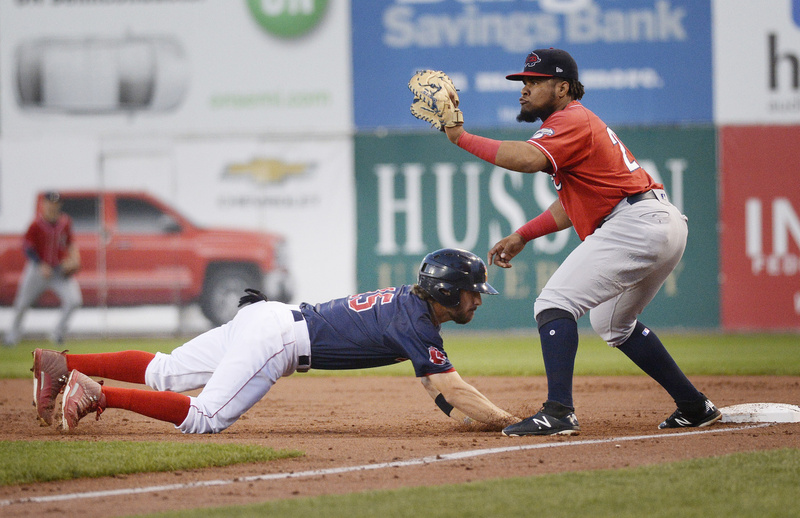 Johnny Bladel of the Portland Sea Dogs dives back to first base Monday night as Juan Kelly of the New Hampshire Fisher Cats waits for the pickoff throw during the Sea Dogs’ 4-3 victory at Hadlock Field. NOTES: New Hampshire (69-64) remained 21/2 games ahead of Trenton in the Eastern League East Division race. Hartford beat Trenton, 4-0. 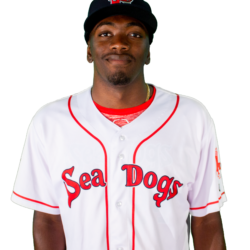 … The Sea Dogs improved to 54-70. … Rivera went 2 for 3 with two walks. He’s batting .318 in his last 32 games. … Boston Bruins defenseman Kevan Miller made a guest appearance and threw out the first pitch. … Tuesday’s game begins at 6 p.m. because of postgame fireworks.